It's Friday!!! I have a finished object to celebrate the occasion. 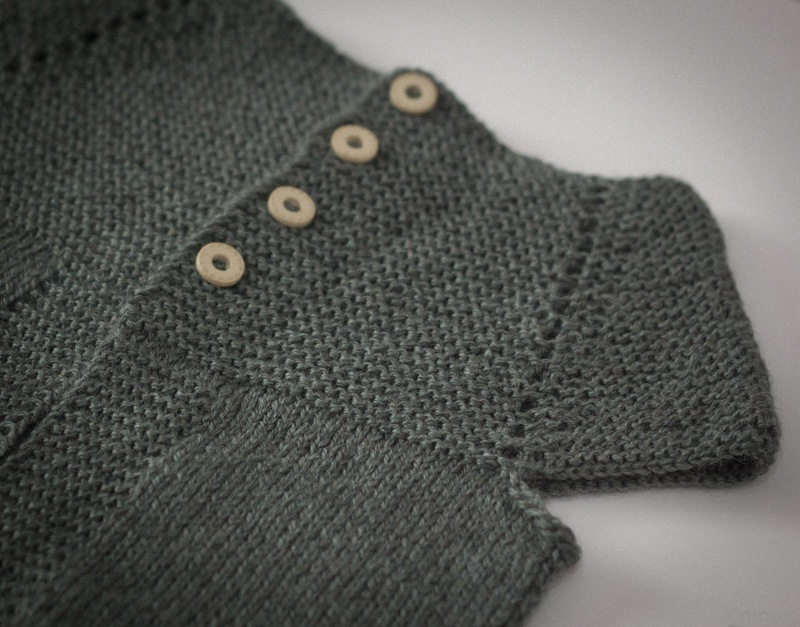 This is the Garter Stitch Yoke Vest that I knit for my daughter. This is a very simple top down / raglan sweater. I used two skeins of Brown Sheep Lamb's Pride Superwash Sport for a size two vest. A nice 100% wool yarn at an affordable price. I cannot be happier with the finished vest. I think my daughter likes it as well. Let's go now to check some other FO's from knitters around the world, shall we? Joining Tamis Amis FO's of course! Unbelievably cute - the vest is sweet too! Perfect knit on a wonderfully adorable little model! Lovely vest! The model looks really cozy. Wow..beautiful vest Monica! And seriously, could you have a prettier model? I don't think so. Your daughter is beautiful! As is that lovely sweater. Daughter and vest are wicked cute!! !